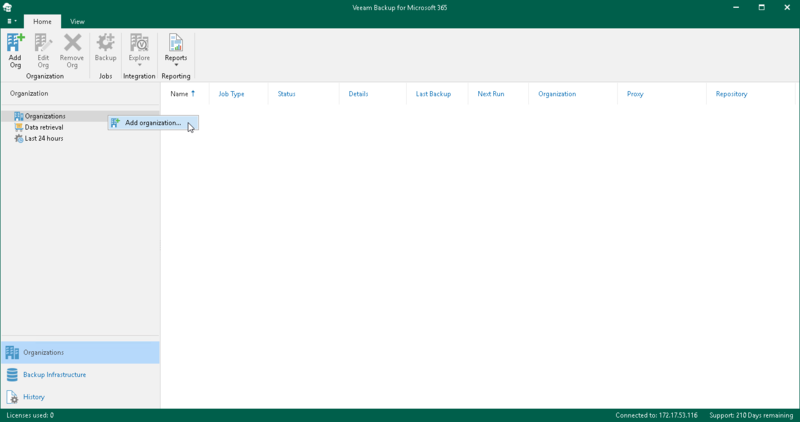 In the Organizations view, click Add Org on the toolbar or right-click the root Organizations node and select Add organization. Proceed to Select Organization Deployment Type. Make sure to read the Understanding Microsoft Graph article before adding Microsoft Office 365 organizations.